I'm all about making things easily accessible, so just in case you skimmed through my other article (How I've tripled my income this year) and missed the freebie, here it is. If you'd like to read my previous behind-the-scenes posts, here's July's and here is August's. My top 3 traffic referrers: As usual, it was Pinterest, Direct (people directly visiting my site), and Google. I also got a few new visitors from Nubby Twiglet and Aeolidia because they featured me on their blogs. In fact, last month I booked a client thank to Aeolidia's feature! September didn't result in as much traffic as I had hoped, which is ironic because it's also been the month I stepped up my social media strategy. I think if I hadn't improved my social media, this month's traffic report would have been worse than my previous months. But I'm putting it down to this: none of my blog posts during September were very popular, and they weren't intended to be. In September, I primarily posted about branding and website design. When I write these kinds of posts, they never become popular on Pinterest (one of my best traffic sources) and they don't generate many comments. I assume this is because my blog audience is mainly freelancers who don't necessarily need to read up on things like this, since most of them are in the design industry. So why write posts that don't go viral on social media and generate lots of attention? Because brand and website design is the focus of my business. I love writing content to help freelancers grow their business (I have a whole library of these kinds of posts here!) but when I analyzed my blog content, I realized I hadn't been writing as much as I should about the topics I'm an expert in. My design clients need to see more blog posts about branding and websites so their trust in my skills can grow strong. That's why I chose to mainly write about these subjects this month. I publish one blog post every week on a Tuesday. From now on, I've decided that each month I'm going to post one branding article, one article on websites, one article to help freelancers grow their business, and one article about tools and resources that will help creatives build better businesses. My newsletter is growing faster and faster these days, which I'm over the moon about! I've gained more subscribers this month than the last five months because I added an announcement bar at the top of my site which prompts visitors to sign up for my newsletter, and I started adding content upgrades to my blog posts. I prioritize my newsletter over my blog because newsletter readers are much more likely to buy my products and hire me to work for them. They're VIP's. That's why it's important to treat them like they are. I'm planning on creating a few free email courses just for my newsletter subscribers soon! I want them to feel as special as possible. I also thought it would be interesting to tell you guys how my little promo email went. Recently, I decided I wanted to earn a little extra money for my trip to Thailand and my trip to Prague in Oct/Nov. So I sent out a newsletter to my subscribers advertising a new service I created: consultations for freelancers. I also mentioned that I'm now booking clients from November onward. My campaign was strictly promotional. I've never sent a campaign like that before, so I wasn't sure what to expect. But, within 30 minutes, I checked my email and I had three new project inquiries and a consultation purchase! It proves that newsletter marketing is one of the BEST ways to build your clientele and sell your products. As of now (September 28th 2015), I only have one consultation spot left for October 5th. So if you need help growing your freelance business or blog, I'd love to be the lady that helps you! 1. Get 40 more TSC subscribers. I failed, again. *Palm to face* Because of the rate my current client projects are going and the short break I had this month, I didn't manage to find time to work on this goal. I did get a few new subscribers though, and barely any unsubscribes. I also created a marketing strategy that I'm looking forward to implementing! 2. Book a design client for when I return from Thailand. This one also didn't happen. I've had inquiries, but no bookings, which has been a little worrying because I'm usually always been booked at least 2 months in advance. This dry stage has got me a little worried if I'm being brutally honest with you guts. If things remain quiet, I'm going to have to analyze my site and services and make some changes. 3. Finish streamlining my processes. Done! I just need to redo my canned emails and add a few details to my Welcome packet. I'm looking forward to sharing my new processes with you all. Since I'm away for 2 weeks of October I thought it would be best if I set just one goal. 1. Book a design client for November. When you only have a small period of time, it's a lot easier to prioritize your goals. This goal is definitely the most important out of all the goals I could set, because my design services bring in 2/3 of my income each year. I'll work on other small goals too, but this goal comes first. All in all, I can't help but feel disappointed in myself for how September's goals have done. BUT, I'm trying not to feel too gloomy about it. After all, September has resulted in lots of new newsletter subscribers, a new service, plenty of down-time, and a lot more blogger friends. It all about staying positive and counting your blessings. Cash Copy Course*-: Halley Gray, a friend and client of mine, has created this AMAZING course to help you quickly create sales pages that make more sales. Halley is a genius. She quadrupled her income this year using some of the techniques she teaches in this course. If you need a lesson in writing badass sales pages, Halley can definitely help. Square Plugins: If you use Squarespace, you'll LOVE this site. Squarespace can be a little limiting with their design options, especially if you don't know code. Square Plugins offers lots of CSS code snippets that can transform how your Squarespace blocks look, from newsletter customizations to summary block customizations. Tailwind: For the past couple of month's I've been using Viraltag to schedule my Pinterest posts, but a friend recommended Tailwind so I decided to try it out. I love it! It's like Viraltag, but better. Tailwind not only allows you to schedule Pinterest posts, but suggests things to post, analyzes your pins and generates reports, suggests the best times to pin, and more. 'Content strategy' is one of those phrases that is thrown around the internet a lot, but there's no real explanation as to what it is. When you Google 'content strategy', you're just left with a bunch of complicated articles that talk in boring, professional terms. I don't have a traditional view of what a content strategy is. But untraditional is better, right? Untraditional is simpler, and ultimately more effective. What exactly is a content strategy? I think of it like this: it's the planning, creation and delivery of free content that eases people down your sales funnel, and hopefully helps them become your customers. In basic terms? It's purposeful free content that helps people go from leads to paying customers. What makes up a content strategy? To fully understand what a content strategy is, think of a social media strategy. After all, they're pretty popular! A social media strategy is purposeful. It's made up of social media posts from your most effective platforms, such as Twitter, Facebook and Pinterest. A content strategy is very similar. It's made up of very purposeful content from your blog, newsletter, webinars, Periscopes and podcasts. I create this stuff already. Does that mean I already have a strategy in place? Not exactly. What you have is free content. But you're probably missing the strategy side of things. Publish blog posts about their work, their personal life, their vacations and their family. They post on Instagram about their cat and baby all the time, with the odd photo of their work. All of that is content. But there's no strategy there. Here's the harsh reality: your ideal clients and customers don't care about your cat or your personal life. Sure, it's interesting to see snippets of these things here and there- they humanize you to your target audience. But what your target audience really wants to read is helpful advice that will improve or inspire them in some way. That's why you need a content strategy. Every blog post, newsletter, webinar and Periscope broadcast should have a specific purpose. One blog post could have the purpose of selling your latest e-course, while another newsletter could have the purpose of booking new design clients. Your content doesn't have to be all about promoting these things, but it has to promote them somewhere. Take my content strategy, for instance. My ultimate mission is to book new design clients and get new people to subscribe to The Shelancers Club. My content needs to help me do this. I post on my blog four times a month (and the same articles are sent to me newsletter subscribers.) One post is about branding and one is about website design. These two posts will provide my readers with lots of valuable free content, but also promote my design services. My third and fourth posts are about freelancing. Again, they will be filled with valuable advice for freelancers, but they will mention The Shelancers Club somewhere. The same thing goes for my Periscope broadcasts: they will always be about design or freelancing and I'll always mention my services and products at some point. Because the ultimate mission of my content is to get people to buy from me. That's called strategic content. If your content doesn't lead people to buy from you, you're just creating content as a hobby. Let's look at someone else's content strategy. I admire Mariah from Femtrepreneur. She runs a badass, highly strategic business. She sells two courses: one helps creative entrepreneurs earn their first 1k or get their first 1k email subscribers, and the other course helps creatives earn more money by utilizing webinars. 30k in 30 days: How do you make money with webinars? Notice that her content is extremely purposeful and strategic; everything is related to her products and niche. She isn't blogging about her cat or her love of vintage clothes, even though she may mention them here and there. Her content is always about her niche, and always relates to her products. Without a purposeful content strategy in place, your content will be a hot mess. But when you get strategic, your readers start seeing you as an expert on your topic. They start to become familiar with your products, and they're more likely to buy from you because they know that you offer paid products that elaborate on the awesome free content you've already given them. Take 15 minutes to sit down with a pen and paper and start strategizing. 1. Write down what you sell. For example, I sell brand and website design. I also run a membership subscription for freelancers. 2. Write down who your products target. I target women entrepreneurs who are interested in rebranding and improving their website. My membership club targets female freelancers. 3. Write down what your current content is about. Is everything you create related to your niche, your products and your target audience? If not, stop it. For example, you may be a website designer who enjoys running a fiction book club and reviewing books on her blog. If they're not business or design-related books, why blog about them on your business blog? It isn't strategic. Create a separate blog or newsletter for the book reviews and keep your business blog focused and strategic. 4. Theme your weeks. There are four weeks in a month, so give each week a 'theme' that is related to your products, expertise or target audience. For example, I've recently themed my weeks like this: Branding, Websites, Freelancing, Freelancing. This means that I will no longer be posting about social media or other things, because they aren't related to my four topics. 5. Go through past content and delete anything unrelated to your brand. 6. Go through past posts and add links to your products and services wherever relevant. Don't do it in a sales-y way. But if you're a brand designer who wrote about the best time to rebrand, make sure you link to your services and let your readers know you can help them rebrand! 7. When creating content from now on, ask yourself if it relates to your business. If it doesn't, think a little harder before publishing it. Your content should always relate to your products, target audience, and expertise. You don't see Mariah blogging about vintage clothing anymore, because even though she loves vintage and used to run a vintage shop, it isn't in line with her business and doesn't help her sell her products. Keep creating content, but keep it purposeful. When you do, you'll have yourself a content strategy. Until January 2015, plans did not exist in my business. In my personal life, I loved planning. I had a cute Cath Kidston pocket diary that mapped out my entire life. I had plans for parties and plans for trips. I had plans of how I was going to save enough money to travel the world. But could I plan for business? I believe that thinking of 'business plans' triggers a sense of fear and dread within us. As I mentioned in last month's article on creating a sales funnel, we are not wired to like business planning and strategizing. It has never been viewed as fun, therefore our minds and bodies can't stand even the thought of it. Lacking a daily and weekly work routine. I didn't know how much to pay myself each month. I didn't know where my next bulk of money was going to come from. I didn't release products and make extra income. I wasn't really succeeding at the whole business thing. Story time: A couple of years ago, I went on holiday to Italy with a few friends. At the time, my finances were a hot mess. I distinctly remember lying beside the pool on my lounge chair and telling myself I could survive on £500 a month. I told myself that was the most I seemed able to earn- I'd be fine with that amount of money. Because I had no business plans and no strategy, my business was all over the place. And because of that, so were my finances. I'm delighted to say that since I started taking planning and strategizing seriously, my income is a lot higher than that now. But can you see how dangerous it is to 'wing it' in business? Plans don't have to be long, boring and ugly. I've said that to you guys before, but I feel it's important to reiterate here. You can't just wing it. When you start planning and strategizing, your efforts become more intentional and focused, and your business flourishes more. Business that plan grow 60% faster than businesses that don't. So do you want to grow and flourish? Or do you want a slow crawl to success? My business is having its best year yet. In fact, I've almost tripled last year's income. I released my first subscription product (TSC) which was a huge success. I released a new consultation service for freelancers. I started writing my first eBook and I've created the sales page. It hasn't gone public yet, but it will in November. I took on more clients because I planned how I could do it without stressing out. And I'm more organized than ever before. My clients are loving it! How did so much change come about in my business? In January 2015, I analyzed my finances and realized I really needed to step up my game, so I bought a few books to help me create strategic plans for the new year. 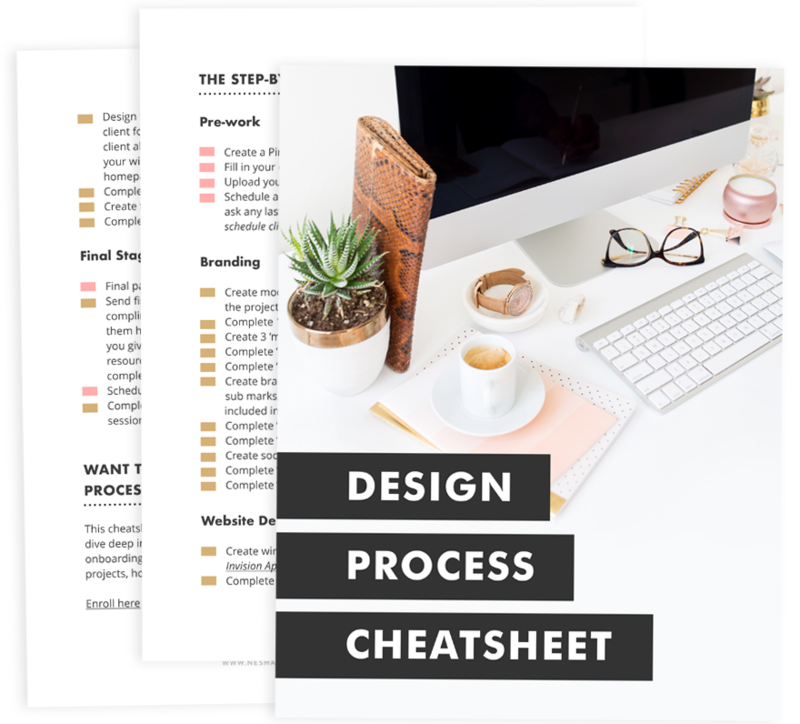 I joined Facebook groups about planning, I read lots of blog posts on business planning, downloaded lots of templates, and put all of my energy into creating a sustainable plan that could keep my business on track and help me earn more money. I had tried creating business plans in the past, trust me. But they always ended up sitting, unfinished, on my Macbook somewhere. I was distinctly aware this time around that I needed to create simple, easy-to-follow plans that wouldn't end up gathering dust. If you struggle to stick to your business plan, it's helpful to remind yourself of the benefits of having one. It helps me! A business plan forces you to think intentionally, realistically and unemotionally. It serves as a reference point for any goals you want to set. Before setting them, you can analyze your business plan and see if your goals are in line with it. It allows you to identify areas you need to improve on, or areas where you need assistance. It allows you to plan for growth. It helps you form a long-term vision for business. With a business plan, you're no longer fumbling in the dark, so to speak. You know what to expect from your business over the next year, and even the year after that. A business plan helps make your priorities clearer. It helps you manage cash flow better. When you look at your business plan, you'll see what income to expect over the year and you'll be able to manage your money accordingly. Before you create a plan and actually stick to it, you need to get into the right mindset. Give yourself a goal. It could be that you want to make more money, or you finally want to start selling products. A goal like this will give your business plan a purpose and you'll be more likely to complete your plan and stick to it. My business plan template is a one-page spreadsheet. I've tried lots of formats in the past: Word docs, pretty docs in iBooks Author, paper plans... but a simple one-page spreadsheet has helped me keep my plan simple and straightforward. There's not much room for overwhelm with a plan like this! 1. Before you do anything, hit File > Save As > and save it as an Excel doc or whatever you'd like! Then, open your super simple business plan and get started. 2. Write down three goals for the year and ONLY three. They should be revenue goals, launch goals or sales goals. Since we're only in September, they could be your goals for the remaining few months of 2015 or you could use this plan for 2016. I recommend the latter. Having three main goals for your entire year will keep you focused. I've found that in the past, when I haven't had yearly goals, my focus has drifted all over the place and I haven't achieved much in 12 months. 3. Next up, write your tagline. Just a short and simple tagline that clearly explains what you do. It's important to have simple things like your goals and your tagline at the top of your business plan because they serve as reminders. As soon as you open your plan, the first things you'll see are your goals and a simple explanation of what you do. These are great reminders to refer to when you're lacking brand clarity or not sure what direction to take your brand in. 4. What has worked really well so far this year, or last year? And what could you improve on next year? If you've found certain marketing methods have worked for you then write them down! But if you're struggling with something, write that down too. You can make your successes a stronger part of your business strategy next year, and you can turn your struggles into mini goals. 5. Next up, fill in your Income Plan. I wrote an article on this income planner back in April. To sum up what it is, it's a simple plan that contains your income predictions for the next 12 months. Fill in how much money you want to make. Then, fill in your products and services and experiment with pricing and how many units you'd have to sell to meet your income goal. 6. Track your growth. All the sections on the left of the spreadsheet are about planning for growth. The sections on the right are all about tracking growth. Use the sections on the right to track how much your newsletter grows each month, how much your blog grows, and how much your social media grows. In the 'Actions' column on these growth boxes, make sure you note whether you've taken any specific actions that contributed to more growth or slower growth. For example, if you started adding content upgrades to your blog posts in January and experienced hundreds more subscribers, note down that action! Your future self will thank you for the reminder when she's re-reading your old biz plan. If you're confused or have any questions about how to use this simple plan, let me know in our Facebook group! Because I love strategy SO much and its made such an impact on my design business this year, I'm thinking of creating a strategy course for freelancers. If this is something that you're interested in, sign up for future info!